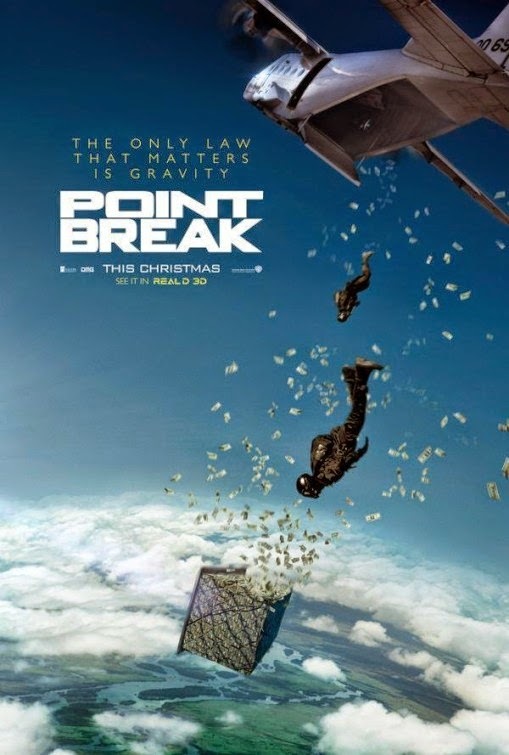 So the first trailer and poster have arrived for the remake of Point Break. A film that everyone has asked why is this getting made? We love the original film that starred Keanu Reeves and Patrick Swayze and is among our top action films of all time. Did the film need a remake? No but neither did Robocop or any other number of recent Hollywood "do overs". This time around we get more extreme sports as actor Luke Bracey takes on the role of Johnny Utah and Edgar Rameriz is Bohdi. Watch the trailer and judge for yourself and while it doesn't look absolutely terrible it also just isn't necessary. We find out December 25th when Point Break hits theaters if it can better than the original but we take the 1991 version any day.